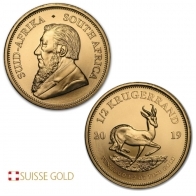 Suisse Gold sells South African Krugerrands produced by the Rand refinery in 1/10 oz, 1/4 oz, 1/2 oz and 1 oz sizes. 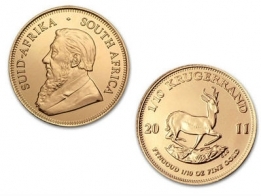 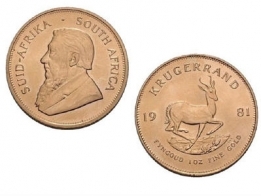 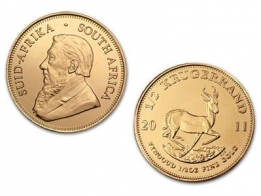 The most popular size gold Krugerrand amongst those looking to invest in gold is the 1 ounce gold Krugerrand. 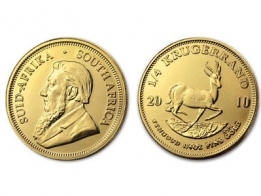 Gold Krugerrands are available for fast, worldwide delivery or secure vault storage. 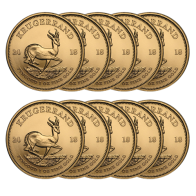 Larger investors can also purchase wholesale tubes of Krugerrands.